Just when is an object a "finished object"? Well, I suppose with craftwork it's finished when the maker says it is! Usually when I tag a blog post "finished object", I show a completed garment or accessory that I made for me. 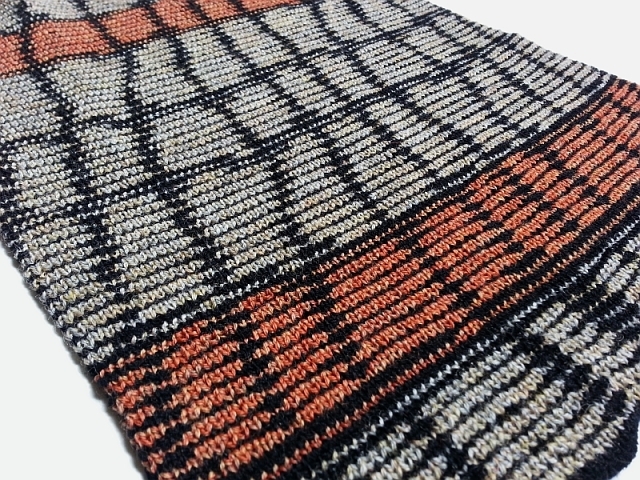 But honestly, the part of me that's a knit textile designer often feels that a thing is finished when it's a good representational swatch or yardage! If I cut and sew the fabric into a piece of clothing? Well that's a whole new project! With that in mind I present some recent/current/future finished objects ready for sharing. 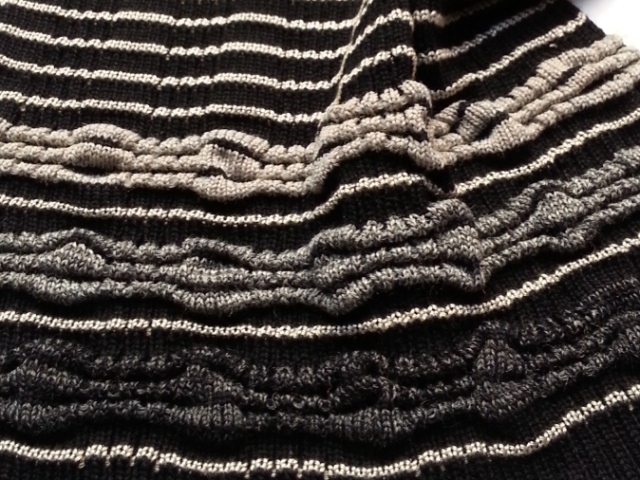 Above is a striped jersey of wool and bamboo. There's a simple slipped stitch design on the reverse side, and I consider that the public side. Below is a combination of ripples and ribs, wool and rayon. I was still in one of my ripple phases when I knitted this one. 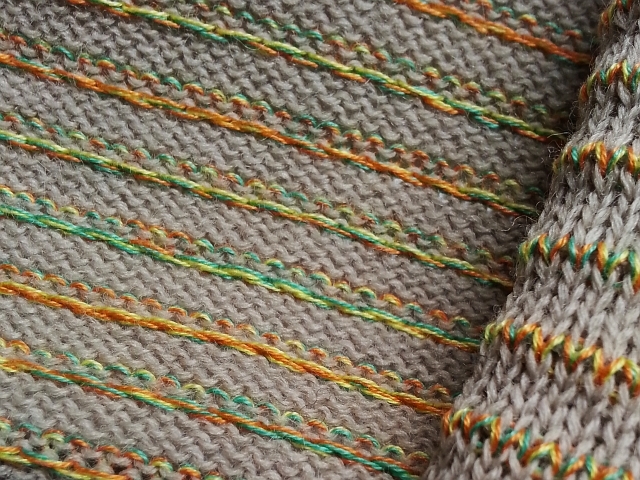 The marled yarn in the ripples is amazing and contrasts nicely with the skinny stripes of rayon. The skinny stripes have a bit of sheen that, unfortunately, doesn't show in this photo. The fabric below is 100% wool. I consider it a sloppy plaid. I imagine it as a straight skirt with an exposed zipper. Or maybe a coat. A version of the jersey (top photo) may be in the shop soon. I don't know which of these fabrics, if any, I'll be sewing into a piece of clothing. In any case, it won't happen right away, the bottom two are too heavy for spring, and I've got other sewing plans for spring anyway. We'll see about the fall. I'm always in awe of the fabric you create. I really should stop by more often. Now I'm going to go and drool in your etsy shop.